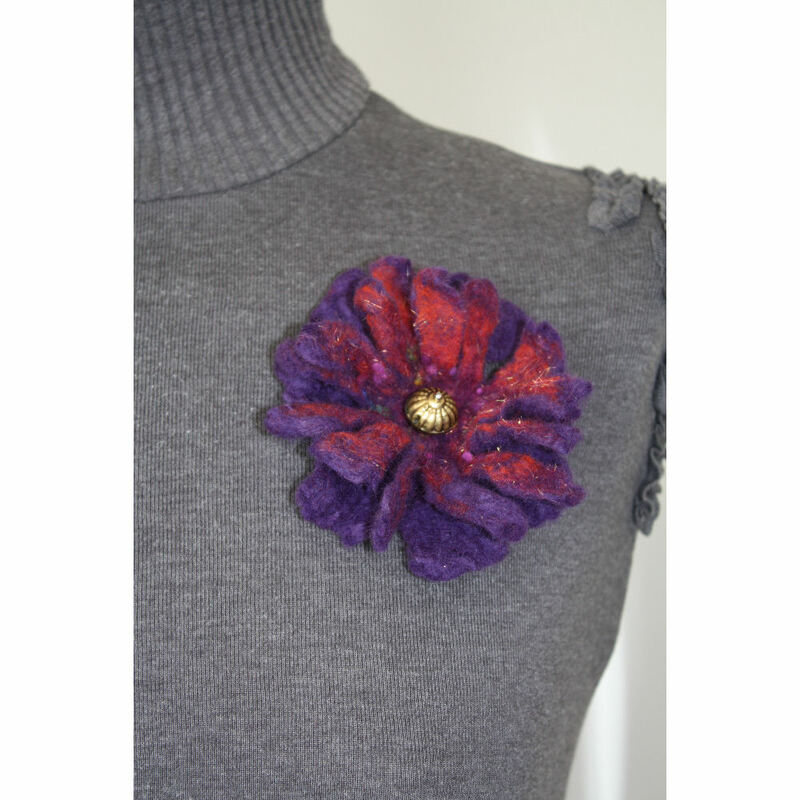 Felt Corsage “Antique Shimmer” Hand made, one off felt flower in deep purple and decorated in shimmering Autumnal shades of russet and ochre. Embellished with nepps and wool burrs which give a beautiful texture. The centre of the flower is decorated with antique gold bead. A metal brooch clasp is sewn to the reverse of the corsage to allow it to be attached to a garment of your choice. Approximate size 10cm across. Product code – FC ND AS 092011.